Hello everyone! Today I have a few baby cards that I'd like to show you. I'm sorely lacking in baby cards and since I'm making the cherub cots, I thought it would be a good idea to have some baby cards on hand also. These cards were cased from Carol at Stamp Like Crazy. You can view her post here. 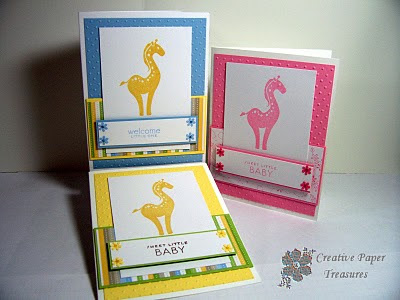 I changed the stamp set to Stampin Up Animal Stories. I couldn't find any buttons locally since all we have is a Super Wal-Mart and no fabric shops. I came across some little flowers I had in my stash and thought they would do just fine. I use coordinating stickles for the centers of the flowers. I hope these cards gets those creative juices flowing. Leave me a comment if you like these cards. I'd love to hear from you. Until tomorrow, happy stamping! Stamps: Animal Stories, non SU for sentiment. 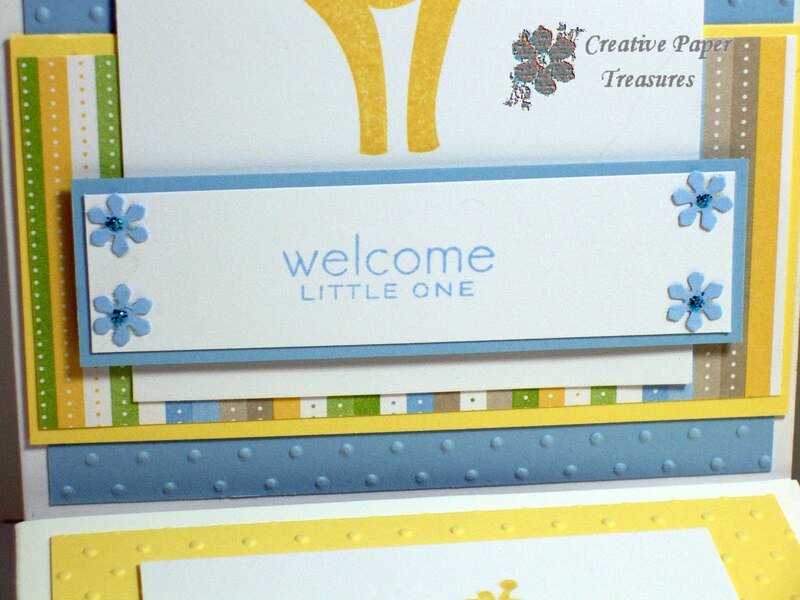 Cardstock: Whisper White, So Saffron, Certainly Celery, Pretty in Pink, Bashful Blue, Delicate Dots dsp. 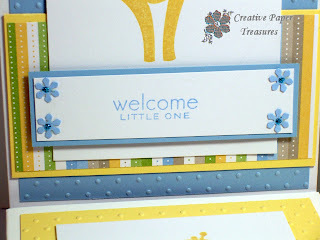 Really cute baby cards. Love the layout. I really like the pink one.